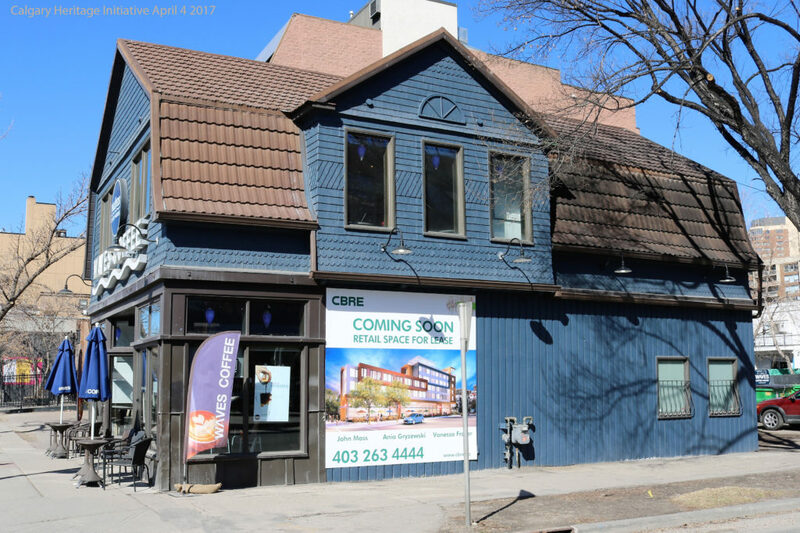 Last April, CHI shared this post on social media RENX Arlington Buys 42 Buildings for High Street April 5 2018. Shortly after, CHI was contacted by CBC to comment on Arlington Street Investment’s (ASI) plans, but declined the interview because details about the projects and the 42 buildings affected were not known to CHI. Instead, on April 12, CHI published a series of questions on our web site. CBC’s follow up report, A Closer Look at….17th Avenue, answered many of CHI’s initial questions about ASI’s plans for 17th Avenue and the buildings affected. Since our April 12 post, CHI has conversed informally (by phone, in person or email) with Councillor Evan Woolley’s office, City of Calgary Heritage Planning, the Calgary Heritage Authority, the Beltline Neighbourhoods Association, the Cliff Bungalow-Mission Community Association, the 17th Ave Retail and Entertainment District, and the City’s contacts for the 17 Project (NW corner of 14th St SW), ASI’s “The Fifth” (NW corner of 5th St SW), and the Main Streets Program. CHI has also explored the City’s and Developer’s web sites, relevant policy documents and so forth, and has kept an eye on further media coverage. CHI continues to seek more dialogue with the City on heritage and urban planning issues. ASI reached out to CHI in April, and again following Richard White’s June 9 Opinion piece for CBC: We need to fix up 17th Avenue, but we’d better not screw it up. CHI was not approached by Mr. White for comment on this opinion piece. CHI provides this update with answers to our initial questions, based on information gathered thus far, and, in the interests of promoting fair and balanced conversation on heritage and development. 1. What does the Jalland’s demolition signal for other character buildings among the 42 owned by Arlington, and which of these will be considered for preservation and inclusion in their High Street plan? 2. What plans are in the works for other projects to account for all 42 buildings? The April 13 CBC online article by Rachel Ward investigated these questions. The Scotia Block: Built in 1927 on the SE corner of 17th Ave and 14th St SW and listed on the City’s Inventory of Evaluated Historic Resources, this building is not designated (protected). ASI stated in the CBC article that they would like to maintain this building. The Sentinel: This is the site of the blue, mid-Century Condon Building on the NW corner of 17th Ave and 14th St SW. Built 1966 it is on the Inventory of Evaluated Historic Resources, but not protected. ASI plans to demolish and redevelop the site for a high density, mixed-use retail, urban market and residential development. A land use application to allow for a maximum 28 story building is under review. An amendment to the Sunalta ARP would be required to allow the additional density and height. Both the City and ASI have initiated public engagement opportunities for this project. CHI has developed a Fact Sheet about this property with links to engagement opportunities. CHI Fact Sheet – Condon. Royal Park: The 800 Block of 17th Ave SW includes a historic streetscape with turn of the century converted homes and the Buon Giorno restaurant. There are no active applications with the City to redevelop this site, although the CBC article indicated that “In two to three years, the developer hopes to tear these buildings down to make way for a mixed-use building.” None of these buildings (built 1900-1930) have been placed on the City’s Inventory of Evaluated Heritage Resources, however CHI has suggested that the Calgary Heritage Authority consider evaluating this block for historic significance. CHI has developed a Fact Sheet about this property. 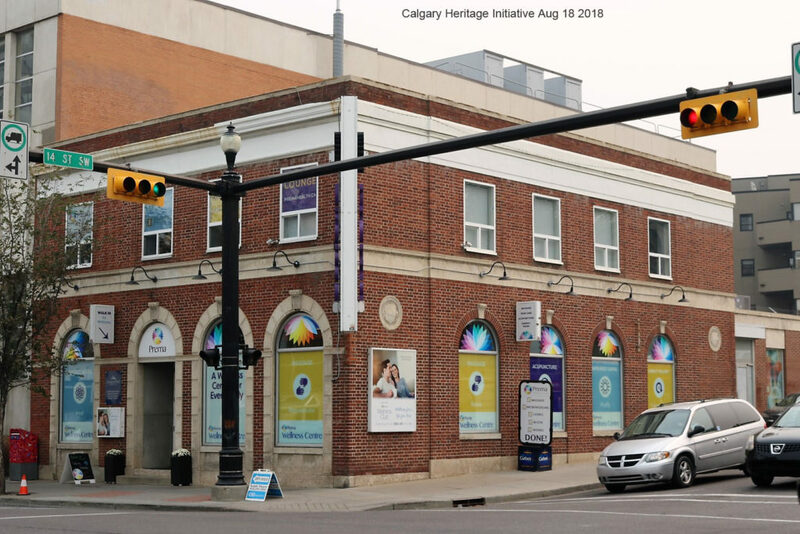 CHI Fact Sheet – 800 Block 17 Ave SW.
Others: On the Calgary Heritage Inventory, but not designated: Jacques Funeral Home, 614 17th Ave SW (1913), Model Milk Building, Nimmons Corner. None of these are ASI properties or have development plans before administration, to CHI’s knowledge. Designated buildings along 17th Ave SW, such as the Devenish and Western Canada High School, are protected by bylaw. The Centre City Plan, adopted by City Council in 2007, is a comprehensive and strategic long-term vision for the future of Calgary’s Centre City. The 17th Ave SW Urban Design Strategy elaborated on the vison for this corridor. One of the Plan’s objectives is “to be a source of ideas and inspiration for community action and collaboration” and apply to all developers. These are non-statutory documents, meaning they don’t contain enforceable policies that, for example, require the protection or incorporation of specific character or historic elements, but rather guide the on-going review and amendment of the policies in Area Redevelopment Plans (ARPs) and the Land Use Bylaw (LUB). It is the policies in the ARPs and the LUB that ASI and all developers must reference when submitting applications for individual projects. Complicating the realization of a comprehensive vision for a High Street is that several communities (and ARPs) include potential 17th Ave projects: The Beltline, Cliff Bungalow-Mission, Lower Mount Royal, and Sunalta. Developers, including ASI, meet with community associations and other stakeholder groups and participate through City directed engagement activities as part of the design, application and development approval process. Note: CHI has been invited to participate as a stakeholder in the Centre City Plan Refresh (Summer/Fall 2018) and CHI is following the Beltline ARP Amendment process. 4. If this strategy is being followed, why was the boulevard tree and the Jalland Block a recognized (though not designated) heritage building, the first to go? ASI’s application for “The Fifth”, the redevelopment of the site on the NW corner of 5th St and 17th Ave SW containing the Jalland Block, was for a development permit (DP) only. The development permit application met the statutory policies in the Land Use Bylaw and the Beltline ARP (for height, density, setbacks and so forth) that were in place at the time. No change of Land Use (zoning) was required, meaning that the application did not go before Calgary Planning Commission for review, nor was a public hearing of City Council required. Public input into DP applications is invited through notice postings and is limited to stakeholders such as directly affected neighbours and the local community association, not broader stakeholder groups like CHI. ASI was not obligated by any City policy to protect the (undesignated) Jalland building, nor was it obligated to engage in discussions around adaptive reuse or moving the building to another site. ASI stated to CHI that “the building had been botched as a consequence of previous renovations and…it was in very bad condition.” Chi confirmed that the City did not undertake a formal assessment of building’s condition. Density bonusing, a tool the City uses to help protect heritage buildings, did not apply to this site. As part of the City’s approval process for the DP, the Heritage Planner reviewed the DP application and directed the provision of a commemorative plaque, because the significance of the Jalland Block was recognized on the City’s Inventory of Historic Resources. The removal of the mature elm tree at the corner of 5th St beside the old Jalland Block was part of the City’s 17th Ave SW infrastructure construction project (roads, sidewalks, utilities, street trees) that is now underway. The City’s design for 5th St and 17th Ave calls for new street trees to be planted. Had the infrastructure project not proceeded coincidentally with the demolition of the Jalland site, the developer would have been required to protect the existing tree during construction. Street trees are the responsibility of the City’s Urban Forestry department and decisions to remove and replace trees consider such factors as the health of the tree, species, and stage it its lifecycle. A developer may apply to have a public tree removed, and if approved, is required to pay compensation to the City. Ideally, replanting occurs. CHI is aware that many of ASI’s subsequent projects will require a more complex application process (e.g., land use and ARP amendments, with opportunities for public engagement/input). One such example is the Sentinel, public engagement for which is now well underway. 5. What are the public realm components of Arlington’s High Street projects on 17th Ave SW? The 17th Ave public realm components to be provided by ASI for individual projects will be detailed through the Development Permit application process. 6. Why is this stretch of 17th Ave SW amongst the low priority group of the City’s 33 Main Streets’ Program when lands are being assembled on such a large scale and development is underway? The City’s current priority for the 17th Ave corridor under the Main Streets program is at the west end, from Crowchild Tr to 37th St., to correspond with the LRT extension. Planning activities for Main Streets projects include such element as “Streetscape and Urban Design”, “Parks and Public Spaces”, “Transportation and Parking” and the documentation of historically significant heritage buildings. The section of 17th Ave SW between 14th At and Mcleod Tr was deemed a low priority because existing land use and policy in the ARPs was already meeting the density targets specified in the Municipal Development Plan. Further, the 17th Ave infrastructure upgrade project is underway and is addressing some of the public realm components. The timing and sequencing of the planning activities for the 33 Main Streets projects depends on the budget cycle for implementation. Any developer has the right to bring forward applications that respond to current (not future) City planning and policy. 7. Is there a public engagement plan for this Urban Main Street? See response to Q 3 for current City-led engagement opportunities. CHI will endeavor to continue to share related City-led engagement opportunities involving heritage/character buildings, ARP amendments and initiatives such as Main Streets and the Centre City Plan refresh. Since our initial post, CHI has become aware that ASI has initiated numerous meetings with applicable community associations and other stakeholders as part of the application process for individual projects. 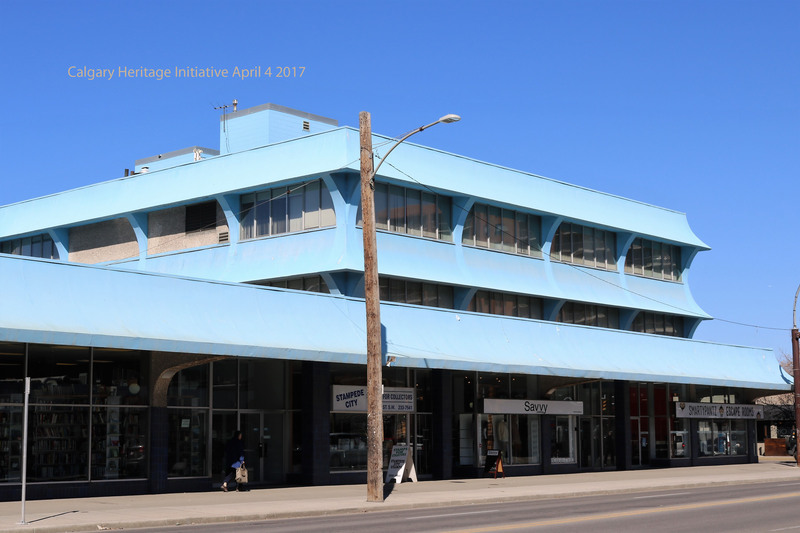 We encourage CHI members to contact their CA Planning and Development committees for more information about projects by ASI and other developers involving heritage/character properties in their neighbourhoods.